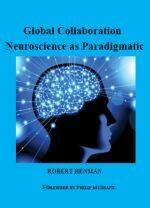 Global Collaboration: Neuroscience as Paradigmatic - By Robert Henman. The three articles printed here point towards the need for a form of collaboration that is presently inoperative in neuroscience and, as McShane states in the Foreword, is not functioning in the current sciences at all. The New Science is a division of labour and tasks that has the potential to increase the probabilities of cumulative and progressive results. Bernard Lonergan made this discovery in 1965 and called it functional specialization. More recently, through the influence of McShane’s research and writings, it is more often referred to as, functional collaboration. Behind the Altar is my first work of fiction. It is a dramatic exploration of the deficiencies of psychology in contemporary religious practice. Behind the Altar can be ordered directly from the publisher Xlibris.com and amazon.com and worldwide online. Also available from author.